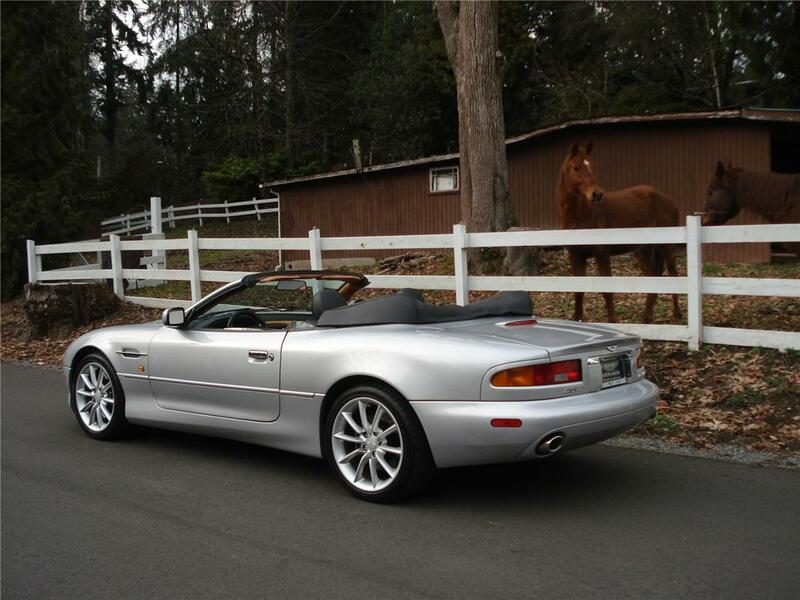 Only 19,020 original miles are on this gorgeous Aston Martin DB7 convertible. A Stronsay Silver car with special order two-tone leather interior. Powered by a 420hp 6.0 Liter V12 motor with the optional Touchtronic automatic transmission that has a sequential manual mode with steering wheel-mounted buttons for spirited, driver controlled shifts. Also equipped with Aston Martin premium audio, XM radio, heated seats, color-matched charcoal leather boot cover, drilled aluminum pedals, rear wind stop, and an integrated radar detector. A pristine, one owner Aston Martin that drives like new. 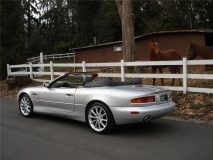 All of the recommended services were performed by an authorized Aston Martin dealer and are up to date.